Istanbul is a city full of charm and history, a place to remember. There are many museums that you can visit and activities that you will enjoy, no matter how old you are. The Turkish traditional food is amazing and the sweets are delicious, so this is the place to go and relax. If you don’t have enough time to visit all the places, the best 3 museums you don’t want to miss are: the Archaeological Museum, the Ataturk Museum and Haghia Sophia Museum. 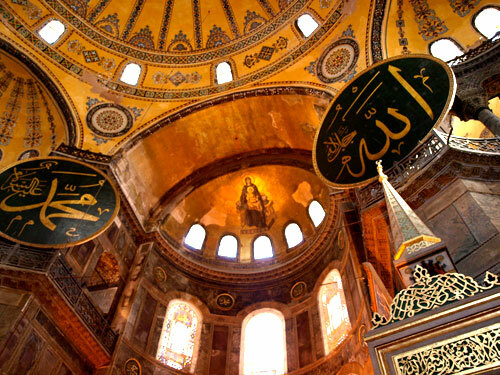 The are many places to visit, but three of the most important museums are: the Archaeological Museum, the Ataturk Museum and Haghia Sophia Museum. The Archaeological Museum gathers more than 15.000 pieces from Ancient Mesopotamia, Babylonian, pre-Islamic Arabic culture and others. The Ataturk Museum is well-known for being the former house of Ataturk before the War of Independence. On its walls there are pictures of Ataturk showing all his life. You can’t miss the Haghia Sophia Museum, a fantastic building in the center of Istanbul. It is an ancient Byzantine church and you will certainly be impressed by it. The Ataturk Museum is open daily between 9:30 and 16:00, except Thursdays and Sundays. The other two museums are open daily between 9:30 and 16:30, except Mondays. Tourists from all over enjoy the time spent in Istanbul and come back over and over again. Because history is important, we need to know what was before us in order to grow as a civilization. Looking for an apartment in Istanbul?